Few days back we wrote about sad dismissal of Hamid Sardar, a brilliant student from LACAS. No words can define the grief the family is going through. However we got in touch with Hamid’s sister, Hafsa Afzal. 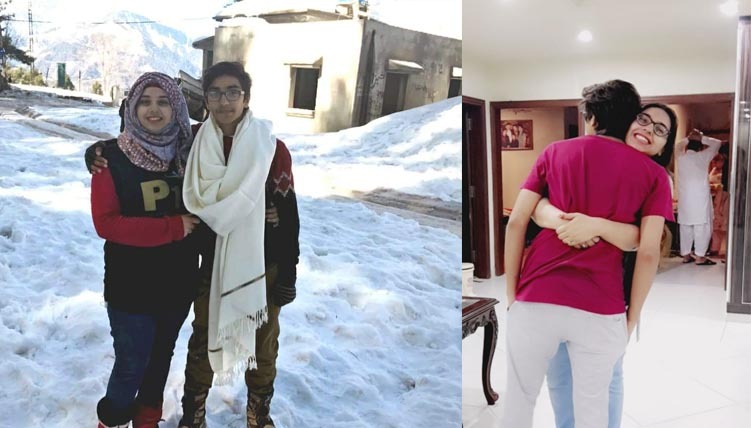 We talked to her, and her love for her brother was so touching that we asked her to give words to her feelings for her beloved Hamid. I am writing in context of being family of a cancer patient. My words won’t support my emotions. Hamid was the first one in our family who was diagnosed with the Blood Cancer AML M2. He was only 15 years 2 months and 5 days old. In these 5 months I came to know that ˆCancer affects not only the patient but also the family. 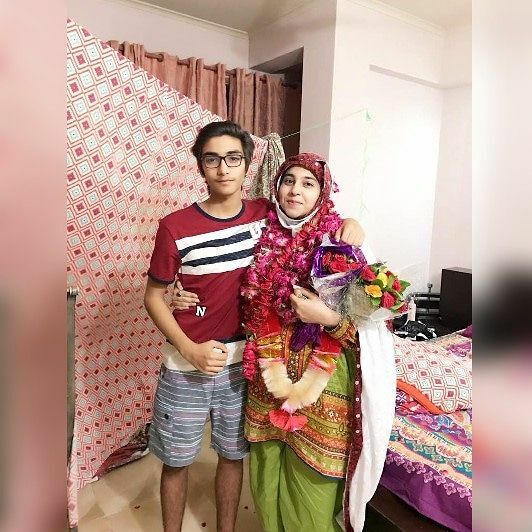 When we got to know about Hamid’s cancer, my whole lifestyle was changed, my responsibilities were changed, trust me, EVERYTHING was changed in seconds. Apparently I just lost my brother, but in reality I have lost my everything. I feel he was my mother, my son, my father, my Best friend, my sister, my brother and my teacher sometimes. Indeed nobody can feel this pain other than us. My mother was a very social woman . She had lot of friends and loved to go out with them. Hamid was very close to my maa. Hamid was the Ladla bacha of our home. Hamid was very fond of IT. He used to fix everything that went out of order in our house. At the age of 15, he could do things that were above his age. He used to help my dad in his business. He knew where every penny spent. He was an A* student. A peaceful person that had no issues with anyone. He was selected in his football team and was going to Africa on 15 Feb. But, sigh… this disease stopped him. He was my best friend. There were no secrets between me and him. Everyone had a different kind of attachment with him. I must say, he set example of patience during his journey of cancer. He fought with cancer for 5 months and never asked Why me? He never cried in 5 months, but on his day, he cried of pain. The pain that happened to him for the last time. I still remember I was preparing for my final exam, 25 January 2018, 3:00am my mother came to me and said ‘Hamid is not well, he’s shivering, let’s take him to the hospital. We immediately took him to the National Hospital Lahore. They checked him, and gave some medicines, Kuch nai bs sardi lag gai hayy isko, they said. We came home, in the 25 evening Hamid started complaining that about stomach ache, so we took him to the Health Bridge hospital. They said he had appendix and needed operation. Meanwhile Hamid’s Qari Sahb requested us to take him to Defence Medical Care, where his blood tests were conducted. They asked to take him to National Hospital, as the blood culture report showed acute deficiency of platelets, which were only 20. His white blood cells were 0.4 and the most alarming were the presence of 80 blast cells. So we took him to National Hospital. They asked to get him operated. Strangely they didn’t inform us cancer, though we knew that by that time. Hamid was admitted at 9am, and till 5pm, nobody came to us. They asked us to take a room and said that they would let us know when they will start the operation. After a while, a nurse came and told that the appendix has ruptured and we need to arrange 8-10 bottles of blood in emergency. We got scared, and started arranging blood. My cousin came to us in National Hospital. When he saw that nobody is telling what exactly going on, he asked us ti take him ti Mid City Hospital. So Hamid was in Mid City Hospital at 10 pm. Hamid was treated for Appendix there. After that we took him home. However doctors there clearly told us that he was suffering from blood cancer. After that Hamid got his tests done fro, almost every hospital in Lahore. And every doctor told us the same. Then we took him Shaukat Khanam Hospital and faced utter disappointment as they told that they don’t have department for blood cancer. In the end, we went to Doctors Hospital. My mother felt relieved after talking to Dr Shazia Riaz. Hamid has her first chemotherapy at 5th February. Hamid received four sessions of chemotherapy, and was about to have her fifth session, but could not survive for that. His chemotherapies started responding well. He started recovering Alhumdulliah. His platelets were 226, WBC were 4.3 and HB was 13.09 and 0 blast cells. His everything was started developing itself. We were very hopeful that he will become healthy again. On 5th June he was all fine, me and him stayed together till morning 5 am. We were enjoying our childhood pictures and laughing. Hamid sent his pictures to friends and family. He asked me to stay with him and not go home for sehri. So I did what he said. I came to my room around 5am. Around 11am, my cousin came and said that Hamid is not well, so me and mom took him to hospital at 12. 6th June he was shifted to ICU and when they were taking him to ICU he saw me 2-3 minutes as I was standing next to him and I asked him aisay kia dehk ray ho? he said Hafsa meri snapchat ki streaks bacha dena please I said okay don’t worry you’ll be back very soon InshAllah. 7th June I was with him till sehri and we were gossiping like normal days in ICU. Then I came home, my mom, her friends and my chacha stayed at hospital. I even asked Hamid mai jaun? He said yes, kal ajana time say I went home and slept. Don’t know exactly when my chachi came to me and told me that Hamid is in so much pain. So I rushed to the hospital. When I reached, doctors had already put him on ventilator. When there was Allah-o-Akber at Maghrib time, Hamid ended the battle with cancer. Hamid BP dropped down and his kidneys failed. I know this grief will stay with me throughout my life. But somehow I am happy he made us all proud because of his patience and will power in Duniya and Akhtar too. I am not sure about the authenticity, but have heard whoever dies with abdominal pain is given rank of Shaheed. When he took his last breaths, there was Maghrib azan in air, Friday night and 23rd Ramazan. I actually felt sweet fregnance from his mayyat. Naturally his grave was under trees. How lucky he was? No? People wish ky aisi mout unko aye. Even I use to wish, when I got to know Ramdan mai mout walay ka hisab nai huta. Losing someone is a something that cannot be explained in words. May Allah create ease for Hamid and his family.